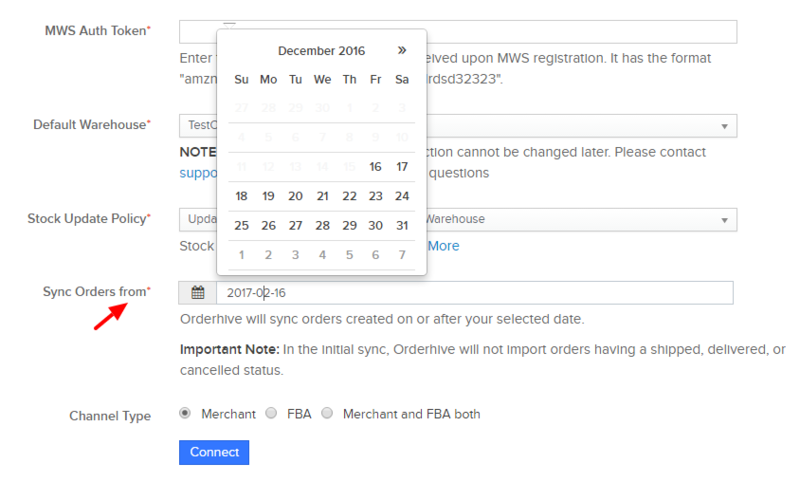 While adding a new sales channel, you can select a date from which you want orders to sync in Orderhive. This option is available on Add Integrations page under the Settings tab. However, if you’ve already integrated the channel and want previous orders to sync, you can email us at support@orderhive.com or get in touch with your dedicated account manager via In-app chat.